Worlds of Women was a project that aims to inspire researchers, both academics and those actively interested in researching working women’s history, to look beyond national borders. This is an overview of available sources at the Labour Movement Archives and Library (ARAB) in form of essays and inventories. Photo: (No information). Source: Archive of Morgonbris, ARAB. This was a project financed by Riksbankens Jubileumsfond. 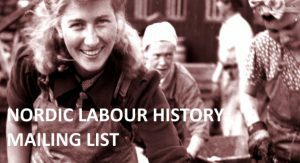 Catalogue of women’s archives with an international profile at the Labour Movement Archives and Library, including a short presentation of the archives’ contents. Covers some 50 archives and collections — people, associations, clubs, committees, federations etc. — ranging in time from 1902 to 2003. Through our library catalogue Kata — named after the Swedish female socialist Kata Dalström — you can retrieve a lot of printed material concerning women. An overview of useful subject headings and direct links to the catalogue. Selling Morgonbris. Photo: Lundh. Source: Archive of Morgonbris, 1810:58282, ARAB. We have chosen to highlight particular recurring themes and topics, but also key people and countries mentioned in the journal during two time periods, referring to articles in Swedish only. 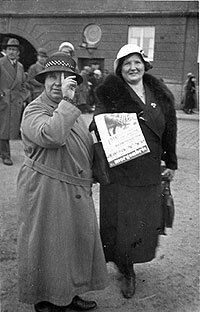 Morgonbris, the journal of the National Federation of Social Democratic Women and it’s predecessors in Sweden, has been published since 1904. 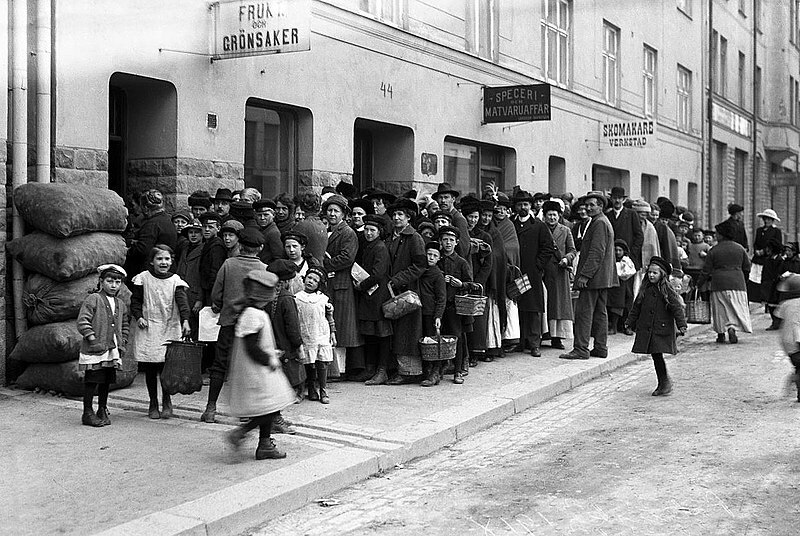 It had an early international focus, as the inspiration for the Social Democratic women’s movement came from countries outside the Nordic region, such as Germany, Great Britain, and the United States, and the movement’s progress in these countries was continuously commented on in the journal. During the 1970s, international articles were dominated by reports and accounts from Africa, South America, and Asia, where peace and women’s rights were frequently recurring themes. General presentation of international material in our collections. Downloadable digital version. Published in print 2002.